Dr David A Paton is an artisanal sculptor and mason with a specialism in Cornish granite, and an associate lecturer in Fine Art at Falmouth University. His practice-based PhD in geography, The quarry as sculpture: the place of making, focused on Trenoweth Dimension Granite Quarry near Penryn in Cornwall, where, through his job as a quarry worker, he investigated human and material relations through a range of creative practices. Since completing his PhD David has contributed to a number of academic research projects, including an AHRC-funded post-doctoral position with the National Trust. 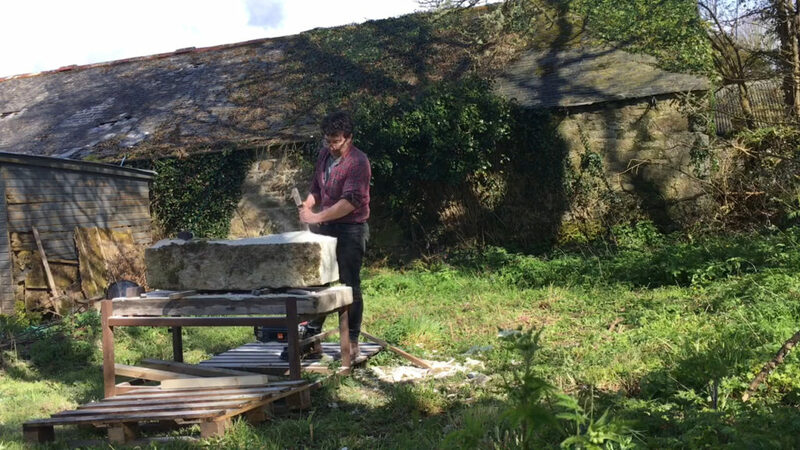 Most recently he completed Tracing Granite, a substantial fieldtrip-based research project, as part of a contemporary arts programme for Groundwork in Cornwall.